Throughout history in many cultures, preserving the physical remains of great figures has been considered vital for religious, cultural, or political reasons. Many Native Americans don’t share that outlook. 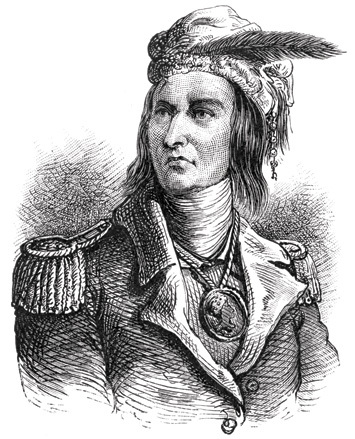 The burial of Shawnee leader Tecumseh is a case in point. Tecumseh, whose name means “shooting star” or “panther in the sky,” led the Shawnee and a coalition of other native groups in resisting American settlement of the Ohio and Indiana territories in the early nineteenth century. He allied his forces with the English during the War of 1812 but was abandoned by them in 1813, at the Battle of the Thames in what is now Ontario. Refusing to retreat, Tecumseh died leading his outnumbered forces against American troops led by future president William Henry Harrison. According to eyewitnesses, Tecumseh’s slain body was taken up by his warriors, who buried him close to the battlefield.